This systematic structure for the genus Ramaria is tentative and is intended purely as a working framework for the currently known species. 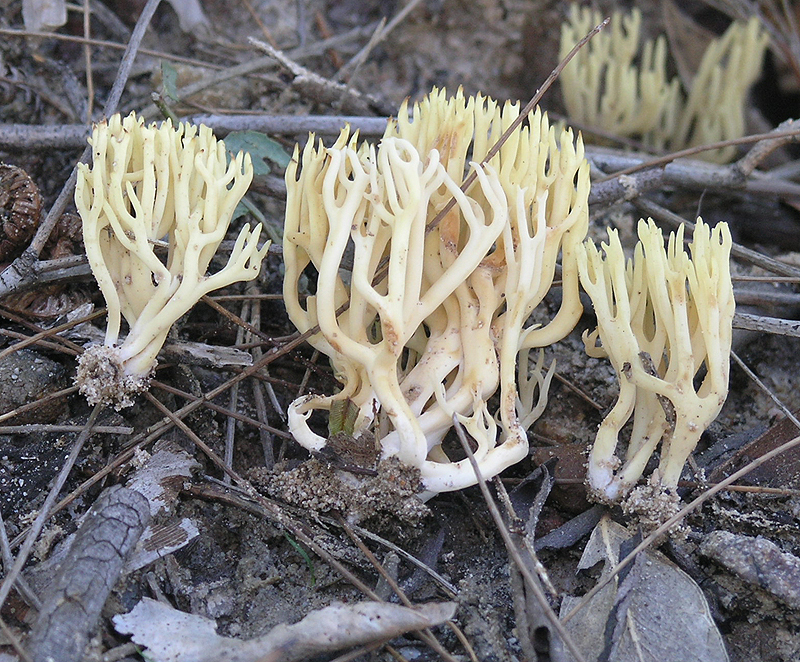 For simplicity, it rejects the use of the genus Phaeoclavulina Brinkmann for all the spiny-spored species and retains them in the traditional subgenus of Echinoramaria Corner. There is no doubt that future molecular studies will play a considerable role in the unravelling of this group. This article is in two parts and is followed by a second part containing keys to the species listed below. Subgenus Echinoramaria contains those species that have spiny spores; subgenus Ramaria contains those species that have striations embedded in the spore wall; subgenus Lentoramaria contains those species that have hyphae with greatly thickened hyphal walls and this means that they may contain either or both skeletal hyphae or secondarily skeletalised hyphae – some species have skeletal hyphae in their rhizomorphs (dimitic state) and also in the fruiting body itself; subgenus Laeiticolora contains all the rest. Colour images of two species are appended to this part. The image of Ramaria watlingii is presented by kind permission of Dr Pat Harrisson in Tasmania, while those of Ramaria lorithamnus are from my own collection of images. 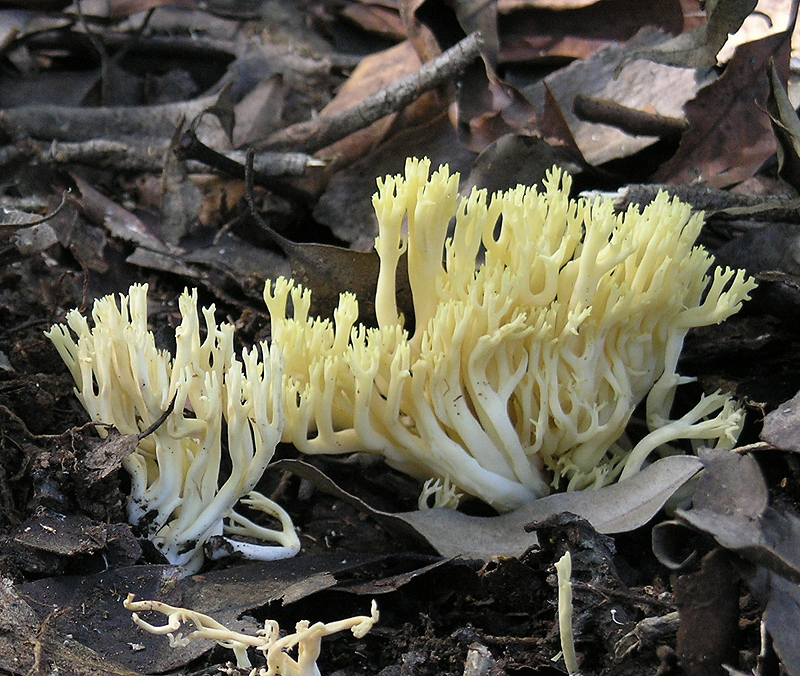 This systematic arrangement was proposed in the Interim Submission presented to ABRS in 2007 at the conclusion of the Ramaria project, at which time it was hoped that an eventual ABRS publication in the Fungi of Australia series would be produced. Unfortunately, through a series of unforeseen events, this did not happen and the Interim Submission has remained virtually unknown until now. 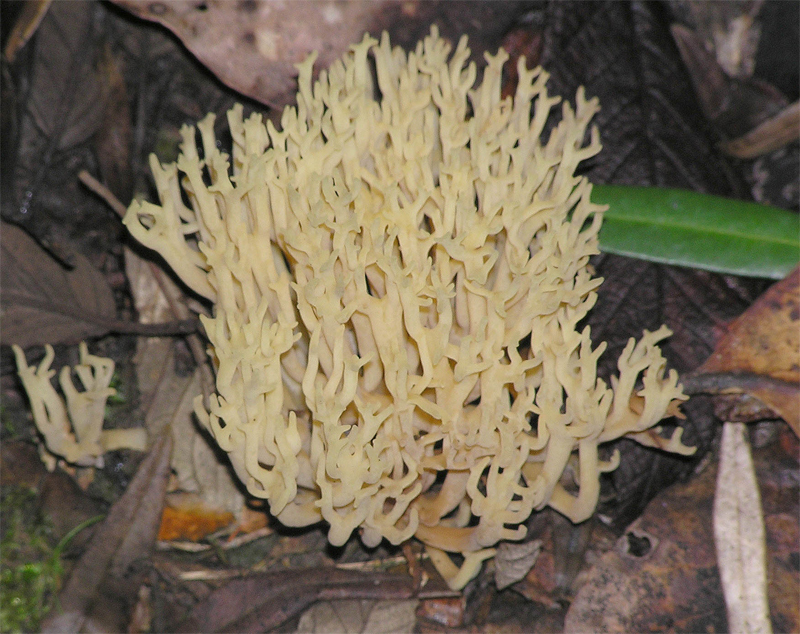 ABRS is thanked for their approval to allow me to publish updated and corrected extracts from that submission for release to the Australian mycological community.